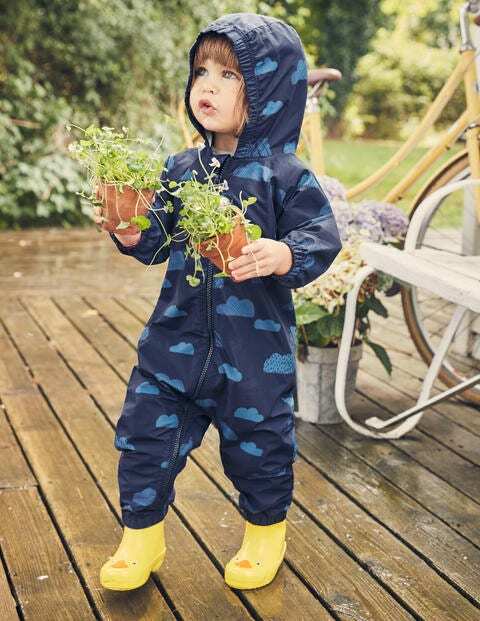 This waterproof puddle suit means rainclouds won't stop the fun. It comes with a matching drawstring bag that’s easy to pop in the buggy just in case (or rather, when) the weather turns. With a zip down the front, it can be slipped on quickly and easily. Take that, sudden downpours.